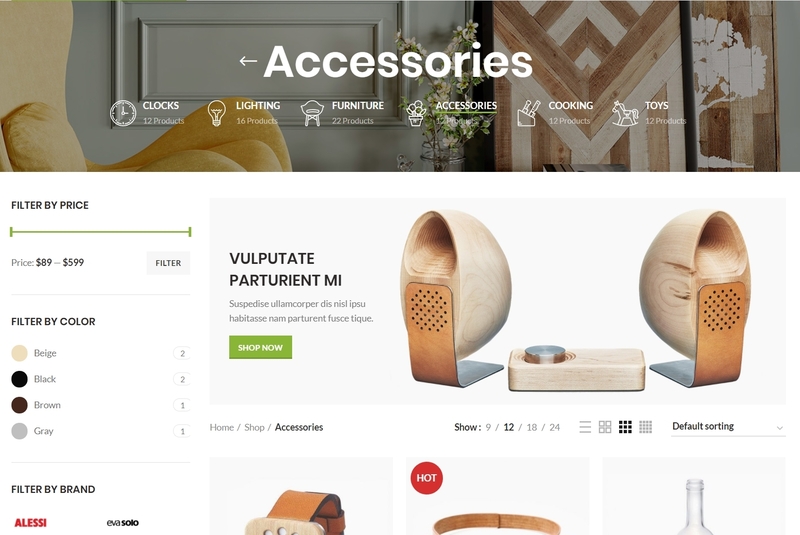 WooCommerce plugin has an option to add some description text for each category in your store. This content is displayed above the products on your categories page. 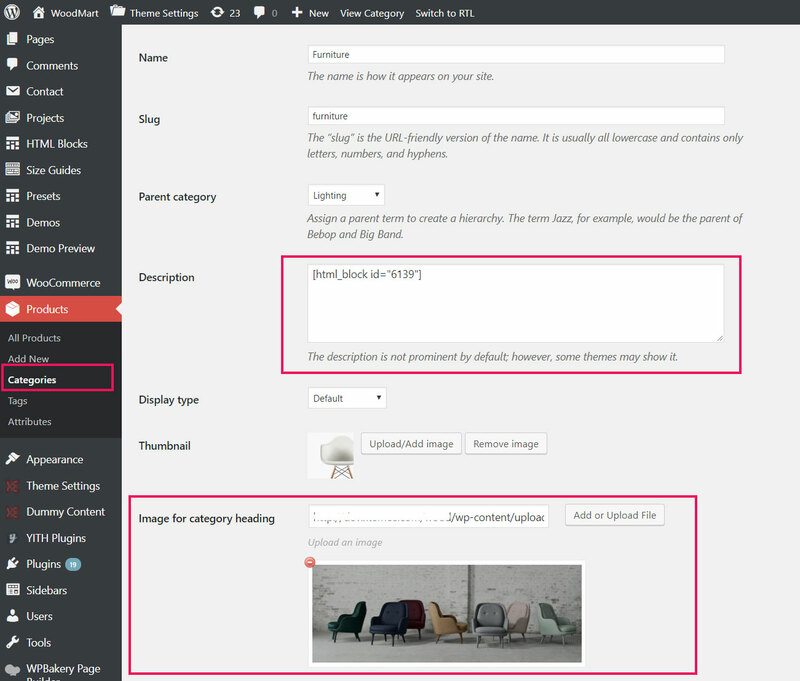 You can also add some more complicated content there like images, banners or sliders. You are able to create them with WPBakery Page Builder using our HTML Blocks and then put block’s shortcodes to the description field. You can also upload your custom image that will be displayed as a page heading background for this category page there.